The CR Writers board will list information for writers, as that information comes in to us. Please send any information about writing groups, contests, and conferences to us at castlerockwriters@gmail.com. GENRE FICTION NEEDED: Cherry Magazine is looking for genre fiction. Rotten Girl Press, Ltd. was founded by Jen Kolic in the spring of 2017. Their flagship publication, Cherry Magazine, is a quarterly journal featuring genre fiction and cat photos. Email Jen Kolic at CherryMagazineLovesYou@gmail.com">CherryMagazineLovesYou@gmail.com. Jen is a librarian and writer originally from Queens, NY. She now lives in Denver with her partner and two cats. 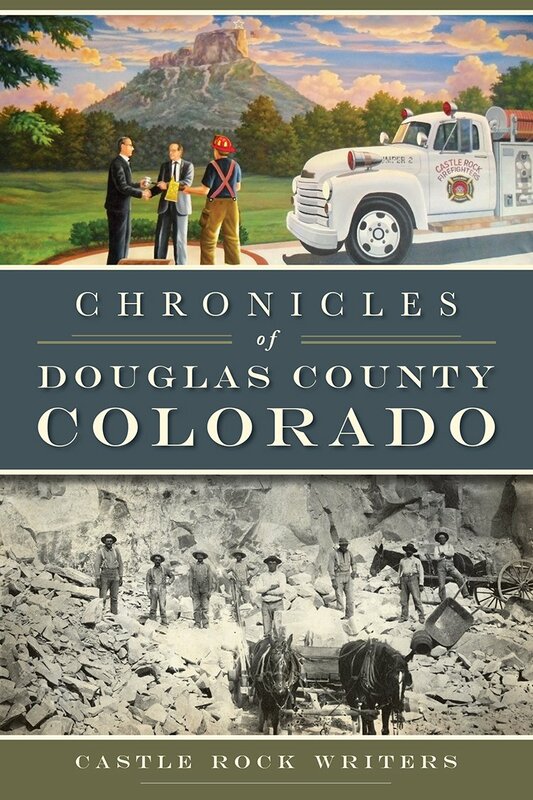 Historic Douglas County, Inc. publishes a yearly calendar to support the organization. Writers volunteer their time, but they also learn valuable skills researching and documenting historical information. Interested writers should contact Larry Schlupp at 303-681-3537 (leave a message with your contact information). The Poetry Society of Colorado meets on 3rd Saturdays at 10 a.m. Visiting takes place before, with the meeting convening at 10 a.m. sharp. The meeting place is Peebles, 909 Wadsworth Blvd, Lakewood, CO 80214, 2nd floor. One person may enter up to three original poems in any contest. No previously published work, either in print or online, will be accepted for contests. The entry fee for each poem submitted is $5. No person can win more than two prizes in any contest. If a pen name or pseudonym is used, the author must also submit his/her legal or alternate name or the entry will be disqualified. No age restrictions for any contest. First, $25.00; Second, $15.00; and Third, $10.00. Independent judges will provide written critiques on ALL poems submitted and give a list of winners to the contest director. A contest will be canceled if fewer than ten poems are entered. Submission of entries presumes permission for the name of the winner to be posted on the Poetry Society of Colorado website and for entries to be anthologized in the yearlyPoets’ Showcase unless the contest director is notified otherwise in writing. Submit two copies of each poem on 8½ x 11-inch paper. A 1-inch margin on all sides is required for each submission, including artwork. Type two copies. On the left side of one copy type: Poetry Society of Colorado on the first line, the name of the contest and the contest date on the second line, and on the third line, the theme and form–no name or address should appear on this copy. On the second copy, on the left side of one copy type: Poetry Society of Colorado on the first line, the name of the contest and the contest date on the second line, and on the third line, the theme and form. On the right side of this second page, also add your name and complete address in the upper right-hand corner. Enclose a check for the entry fee of $5.00 for each poem entered made payable to: Poetry Society of Colorado. Send two copies of all entries to the contest director. (See above). Entries must be postmarked or submitted at a Poetry Society meeting by the deadline date. Winning entries, including honorable mentions, will be returned at a meeting or mailed to the winners. Non-winning entries will be returned if accompanied by a self-addressed, stamped envelope (SASE) with sufficient first-class postage.